Media and entertainment giants AT&T has today joined the Pennsylvania Esports Coalition (“PA ESC”). The PA ESC is a non-profit organisation created to advance the “development, growth and integrity” of competitive entertainment in Pennsylvania. “We are elated to have one of the world’s largest companies as a member of our coalition as we continue to gain momentum advocating for all aspects of the industry in Pennsylvania,” Bill Thomas, Chairman of the PA ESC Board of Directors commented. AT&T has already dipped its toes in esports, being the official Telecommunications and Mobile Gaming Partner of ESL North America. The latest “ESI On The Road” featured an interview with AT&T and can be watched here. “We jumped at the chance to join the coalition in part because they’re ahead of the game. PA ESC is the first organisation of its kind in the country, and we wanted to be early members. They’re already looking ahead at the many issues that impact this fast-evolving, fast-growing area of technology and entertainment,” said David Kerr, Regional Vice President, External Affairs , AT&T. Esports Insider: Interesting move here from AT&T as we see them buddy up with the Pennsylvania Esports Coalition. 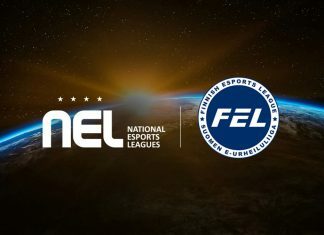 It’s obviously a big coup for the Pennsylvania Esports Coalition as they welcome a giant of a company on board and one would assume there’ll be some exciting growth in the region as well. We’ll be keeping a keen eye on what this partnership leads to in months to come.